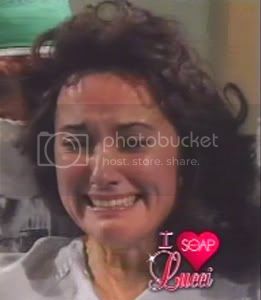 Jeez, could anyone really imagine a daytime world in which Susan Lucci a.k.a Erica Kane and a fictional town called Pine Valley no longer existed?? Well, looks like soon we'll certainly have to get used to it. Seems the ABC television network will lower the curtain on two phenomenally famous daytime soaps, "All My Children" and "One Life to Live" in September 2011 and January 2012, respectively. In its place, two new daytime food-and-lifestyle show called The Chew and The Revolution aim to emulate the formula and success of ABC's The View. The Chew will feature a rotating cast of hosts, including chef Mario Batali, restaurateur Michael Symon and nutrition expert Daphne Oz. The Revolution will feature a "dream team" of lifestyle consultants including fashion guru Tim Gunn, celebrity trainer Harley Pasternak and "American Idol" alum Kimberley Locke. And needless to say, as much as I hate to see Erica Kane, her long list of former husbands, and the occasional long-lost son or daughter who seem to pop up from out of nowhere, leave the daytime screen (and the Soap Net channel at night), I'm happy to see two promising food-oriented shows take its place. So after 40 illustrious years in ABC's daytime lineup, rest in piece, Erica Kane. We'll miss you, girlfriend.